Remember the Grinch who stole Christmas... never ever leave any presents or valuables where they can be seen by a burglar i.e. in view of a window. The majority of home insurance providers will advise that you keep any valuables out of sight. According to Aviva you should be aware of any ‘top pickings’ for burglars; “consoles, games and DVDs make up 62% of belongings stolen”, “other favourites include cameras, computers, mobile phones, MP3 players and jewellery” (Aviva). 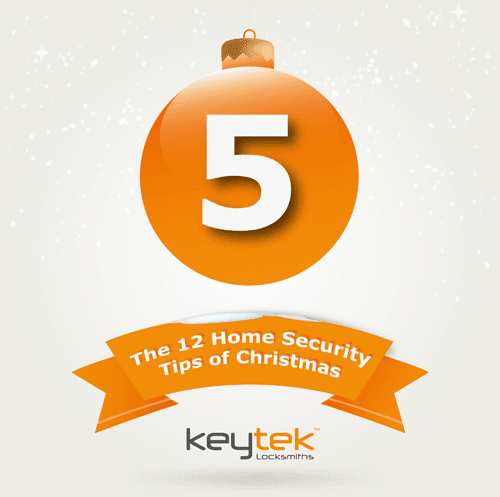 Christmas presents and valuables can be safely stored away in a lockable cupboard or drawer.